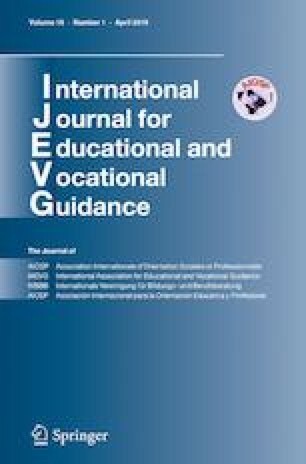 The International Association for Educational and Vocational Guidance (IAEVG) is the worldwide counsellors’ association and represents individuals as well as national and regional associations concerned with educational and vocational guidance on all continents. To learn about the benefits of membership, see https://iaevg.com/Membership#Benefits. To become a member of IAEVG or to renew your membership, simply proceed online at www.iaevg.com, by clicking on the IAEVG logo, then on “join us” and providing your information (even for renewal, as this is a new system). You can then make your electronic payment in US Dollar, Canadian Dollar, Euro or British Pounds. All rates are based on fees in Euros: Individual members, 78 €; Institutions, 100 €, Association fees depend on the number of members (https://iaevg.com/Membership#Categories). If necessary, please contact the IAEVG Administrative Coordinator (membership@iaevg.com). International migration has increased substantially during the two decades, increasing by with 50% between 2000 and 2017—and reaching 258 million in 2017. Most migrants tend to settle in a few countries, often neighbouring countries—10 countries hosted 51% of the international migrants in 2017 (United Nations, 2018). Furthermore, migration is concentrated by country of origin, where migrants from 10 countries with the largest diaspora population made up 36% of all international migrants in 2017 (United Nations, 2018). Migration flows are triggered by numerous factors, including natural disasters, global warming, social unrest and war, family reunions, changing employment patterns as well as a global need for skilled workers (Faber & Schlegel, 2017; Shan & Fejes, 2015). All migrants face challenges in adapting to their new life circumstances in the new host country. However, asylum seekers are often in a specifically precarious situation—often living in a refugee accommodations (or the equivalent) hoping for a positive response to their application for asylum (see e.g. Fejes et al. 2018; Eurofound, 2016). What role does/can educational and career guidance play in supporting migrants and refugees on their path towards social inclusion? What are the challenges that need to be faced when it comes to providing educational and vocational guidance services for migrants and refugees? How do class, gender, culture, faith, and ethnicity come together in ways that define the migrants’ and refugees’ experience of the job search process, of occupational placement and of career development in host countries? What can we learn from the efforts of educational and career guidance services to respond to the needs of migrants and refugees in different countries? What kind of research approaches and strategies are productive when trying to understand – and cater for – the career development needs of migrants and refugees? Which questions related to educational and career guidance training raise these challenges faced by migrants and refugees? Professor Ronald G. Sultana, University of Malta, Malta (email: Ronald.sultana@um.edu.mt). This Special Issue is limited to six to eight articles of 6000–8000 words each. Authors interested in contributing to this special issue should first submit an abstract. The authors of abstracts selected for inclusion in the special issue will be invited to submit a full length paper All submitted manuscript will undergo the regular peer-review process. The use of the APA’s Publication Manual’s (6th ed.) style and norms are required when submitting the articles to the journal. The abstract should be emailed directly to the guest editors but the full paper needs to be submitted online via the journal’s platform (http://www.editorialmanager.com/ijvo/). In recent years, there has been a resurgence of interest in the role of career education and guidance in promoting social justice. To some extent, this reflects a growing inequality in work and careers, which arises from the impacts of globalisation, technological change and the dominance of neoliberal economic policies (Hooley, Sultana, & Thomsen, 2017). Social justice remains a contested concept. Career education and guidance practitioners have been searching for models that enable them to integrate policy and practice within a moral framework. Such a framework needs to be applicable across many different disadvantaged groups in diverse cultural and economic settings. The Capability Approach of Amartya Sen (e.g. Sen, 1985) represents one perspective that some career scholars are turning to. Sen’s vision offers a conception of justice that relates to the opportunities that individuals can realistically access in their lives. This gives it great resonance with the concerns of career education and guidance. It offers a starting point for thinking about ways to support socio-economically disadvantaged groups that is applicable in developing or emerging economies as well as those living in prosperous nations. The Capability Approach has been applied to questions of education and work. For example, the transnational WorkAble project (Otto, 2012) used the Capability Approach as a framework to study experiences of disadvantaged youth across a number of European nations. More specifically, there have been a number of attempts to explore the potential contribution of the Capability Approach to career education and guidance, notably in Francophone Canada (e.g. Dionne et al., 2018; Picard et al., 2015a & b), in Denmark (e.g. Skovhus, 2016), and in the United Kingdom (e.g. Robertson, 2015, 2018; Robertson & Egdell, 2018). A joint symposium at the IAEVG conference in Gothenburg (Robertson et al., 2018) helped to establish this new perspective within the international profession. The Capability Approach is now featuring in texts addressing the theoretical basis of career guidance (e.g. Picard et al. 2019). The special issue will further the work of bridging the gap between Sen’s concept and the practice of career education and guidance. Pete Robertson, Associate Professor, Edinburgh Napier University, Scotland, UK. France Picard, Professeur, Université Laval, Québec, Canada. Submission of article proposals will require a title and an abstract of around 400 words. Full manuscript submission will not be accepted by email, only online. See https://iaevgconference2019.sk/for the call for proposals and all details for submission preparation. Four possibilities of participation (All proposals should be of a high scientific level and/or innovative practice have a significant link with the reflection areas of the conference. Workshop: Presentation of 90 min based on innovative practices or experimentation. Practical tool/method/activity: A specific tool or approach presented during the “tool fair”, aimed at practitioners. All proposals must be submitted in English and will be reviewed by two members of the scientific committee. Paper sessions and workshops may be in English, French, German, or Spanish, but organizers cannot provide simultaneous translation. The proposal must be submitted not later than March 31, 2019 by sending the file to the following e-mail: papers2019@iaevgconference2019.sk. IAEVG Global Symposium will be part of the preliminary event in Brno before the IAEVG Conference in Bratislava and will be held on 10th September (Tuesday) in the morning (9 h – 13 h). The Symposium will focus on the role of guidance community in the development of national guidance systems: voices of counsellors and associations in career guidance systems development, dialogue between practitioners/associations and national guidance systems. How can career practitioners and their associations be involved in developing national guidance system? What practices have been successful until now (e.g. National Guidance Forums, etc.)? Is there a dialogue and mutual learning among counsellors/associations, policy makers and all other relevant stakeholders? What could be improved in the dialogue? How can career practitioners/associations be engaged in implementation of career guidance policy initiatives? What is changing in the role of career guidance, practitioners and their associations? How we can support as much as possible inclusive and strongly democratic guidance policies and systems? Free accommodation for Symposium participants will be provided from Monday, September 9, to Tuesday, September 10. A common dinner will be organized on Monday evening. The IAEVG Global Symposium will be open for about 50 local and regional stakeholders from the Czech Republic, Slovakia, Poland, Hungary and other countries from the region of Central and Eastern Europe. In total the Symposium will be open for about 150 participants. On the occasion of the 2018 International IAEVG-Conference “A Need for Change”, the IAEVG Board of Directors publishes the following press release/statement, on precarious employment. Employment provides people with financial resources, a source of social identities through connecting with other people, and an avenue for contributing to local and national economies. People’s access to stable employment is core to their sense of safety and security. There are clear benefits of employment for people’s mental and physical health and for maintaining a sense of hope for the future. However, fluctuations in the global economy create volatility and instability in the labour market, leading to cycles of employment/unemployment or underemployment associated with temporary positions. For many citizens, meaningful and sustainable work is unattainable. Rather than looking forward to a future with long-term security, many people are consumed with day-to-day living and managing their immediate needs for a livelihood. The world of work has shifted from long-term employment to one in which workers are characterized as disposable, replaceable, and responsible for managing their own employment. Although it may not be possible or even desirable to return to a time when more paternalistic relationships between employers and employees existed, critical examination is required about who is at greater risk of being excluded or marginalized in the current labour market conditions. There are variations between sectors in the labour market, work tasks, and the working conditions that people face in their daily efforts to earn income to survive. It is also important to account for variations in employment conditions that occur across regions and between countries. Precarious employment refers to the increasing risks for people in the labour market, including the temporary nature of employer-employee contracts, inadequate benefits for employees, and lack of opportunities for skill development and employment mobility. The consequences of precarious employment directly impact the wages earned by people at all levels of employment. Precarious work is unevenly distributed among the lower-paid jobs and unskilled workers who may be most at risk for job insecurity and for pressure to accept work in settings with noxious workplace conditions. However, precarious work is also a matter of concern for highly educated university graduates all around the world who may have been expecting a seamless transition to employment in their selected field. Graduates who have invested resources in obtaining higher education may have to settle for lower-paid, part-time contract work that does not match their educational qualifications or support long-term employment in their fields of study. Precarious employment may have causes and effects differing from one part of the world to another. Although self-employment may be encouraged as an option, the rates of success and failure of small businesses make this form of employment precarious for many individuals and families. Other forms of employment, e.g., self-employment, agrarian work, farming, may involve alternative ways to organize livelihoods, but conditions such as climate or unstable political situations may add to the precarious nature of their work. Many people choose part- time work in order to balance family and other life roles, but in most cases, precarious part-time or full-time work is not chosen voluntary or preferred by workers or employees. It is timely to question who is impacted, and how educational and vocational guidance interventions may need to be adjusted to address the needs of people who are stuck in the conditions associated with precarious employment. Without such examination, it is easy to accept current conditions as normative as opposed to challenging the societal and political structures that contribute to precarious employment. IAEVG appeals to practitioners, policy makers, and employers, to recognize and act upon the individual and social costs of precarious work and insecure livelihoods. Educational and vocational guidance attests to the person and the context and strives for social justice to overcome the causes and negative effects of precarious employment. IAEVG members are encouraged to increase their efforts to design and deliver interventions that help individuals, families and communities to improve their capacity for obtaining secure and safe employment. This requires an examination of service access and to make sure that educational and vocational guidance is relevant, inclusive, accessible, and affordable. IAEVG members also have an important role to play in leading and advocating for partnerships with stakeholders such as communities, policy -makers, employers, and trade unions to call attention to precarious employment and to construct effective solutions with the aspirational goal to provide safe, sustainable, and meaningful work for all citizens.